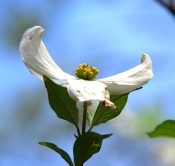 COUNTENANCE — Goes Well with Apple Pie! Readers have their own favorite parts and pieces of COUNTENANCE. 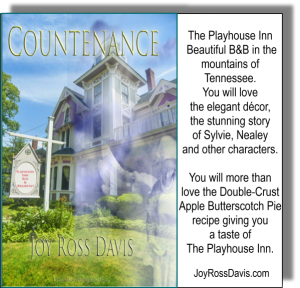 Some love to read the descriptions of the Playhouse Inn. The decor is richly described from the unusual flowers through the draperies and furnishings along with tableware. Even the not-so stylish kitchen decor! Then there are some who love specific characters and hope to see them in future stories. 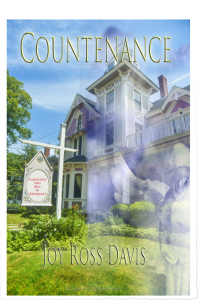 COUNTENANCE was my debut novel and will always be in a special place in my heart. 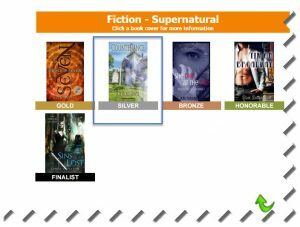 Together we have enjoyed a wonderful summer with book signings and anticipate the award ceremony for the Silver Medal in the Readers’ Favorite Paranormal Category in Miami. 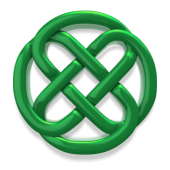 Additional excitement builds as Parris Bonds and I finalize our plans to be in Ireland in October for the Claddagh Authors’ Event. 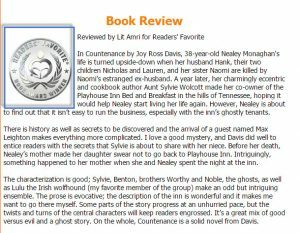 If you’ve read and reviewed COUNTENANCE for me on Amazon and/or Good Reads, I appreciate your vote of confidence. If you’ve read the story and haven’t reviewed yet, I would so very much appreciate reviews when you can get around to them. The times you all have spent with me along with COUNTENANCE and other novels or stories are the inspiration for future writing and more stories for you to enjoy.